The energy of the crowd at Sporting Kansas City’s home opening match was electrifying. Prior to the start of the game, Tech N9ne led a sold-out stadium in the “I Believe” chant from The Cauldron (the most vocal fan section of the stadium, for those not familiar). 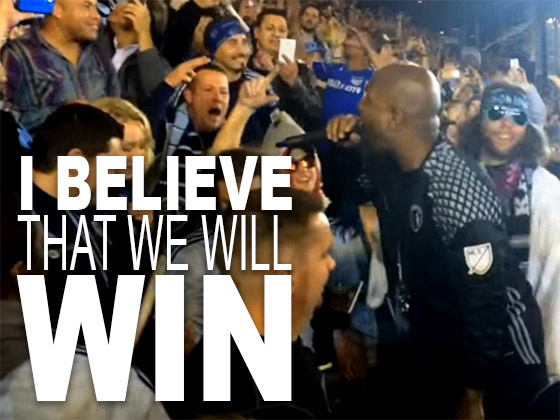 If you’re a Sporting KC fan, you most likely heard Tech N9ne narrate their ad earlier this year, which ran during the Super Bowl. If you missed it, check it out here. Can you tell what Tech N9ne was shouting?